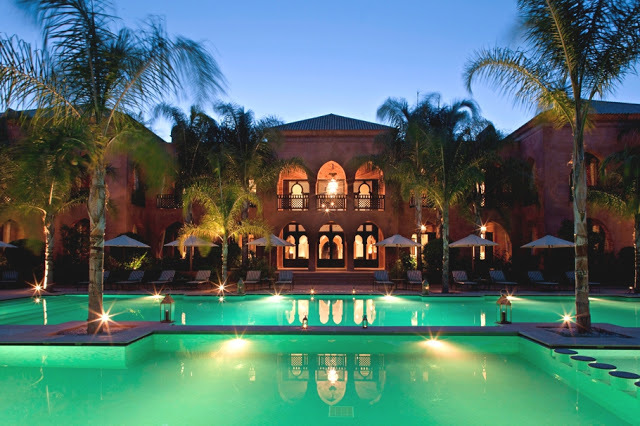 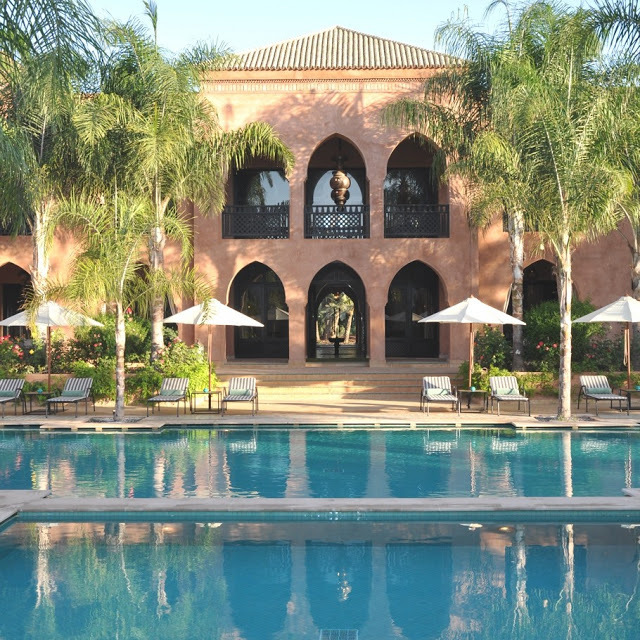 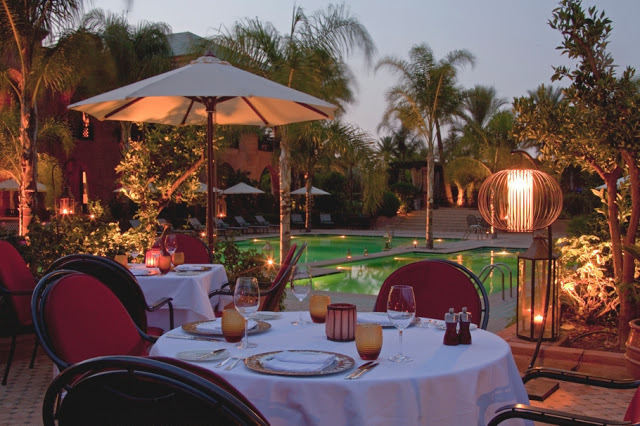 The luxury Marrackech hotel is located in one of the most exclusive residential districts of Marrakech—the Palmerie—a boutique resort hideaway. 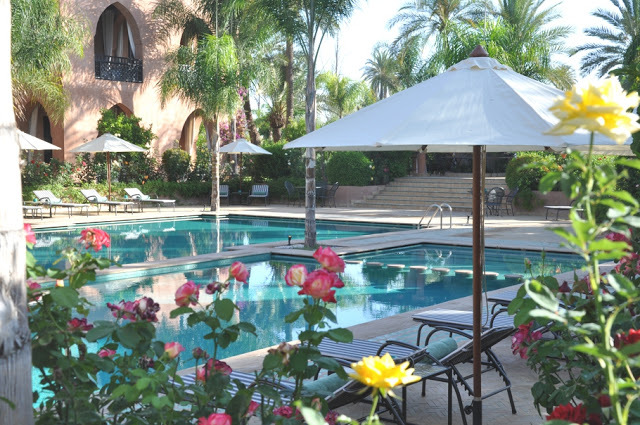 Set within two hectares (5 acres) of gardens with the Atlas Mountains in the distance and only 10 minutes from the mayhem of the Medina and Marrakech Menara Airport. 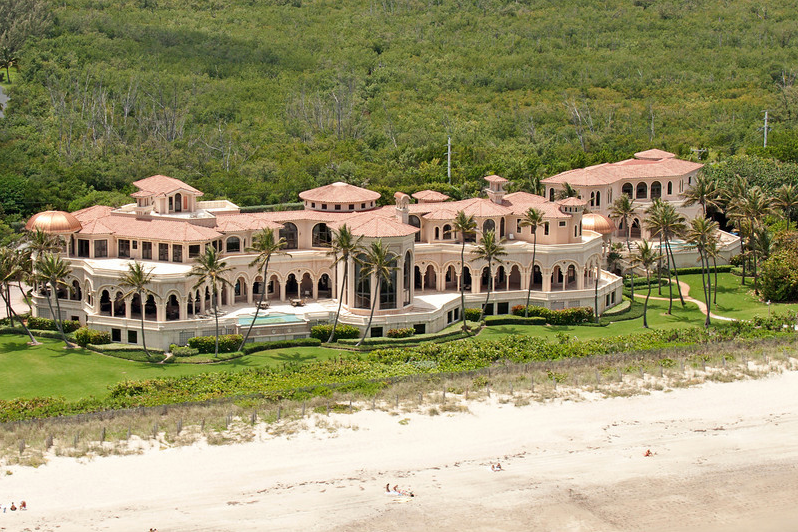 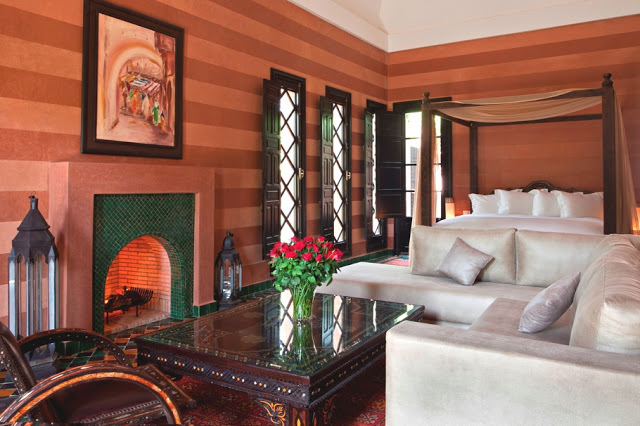 Each of the 28 rooms, suites and villas are spacious, luxurious and cosy with their earthy tones and authenticity. 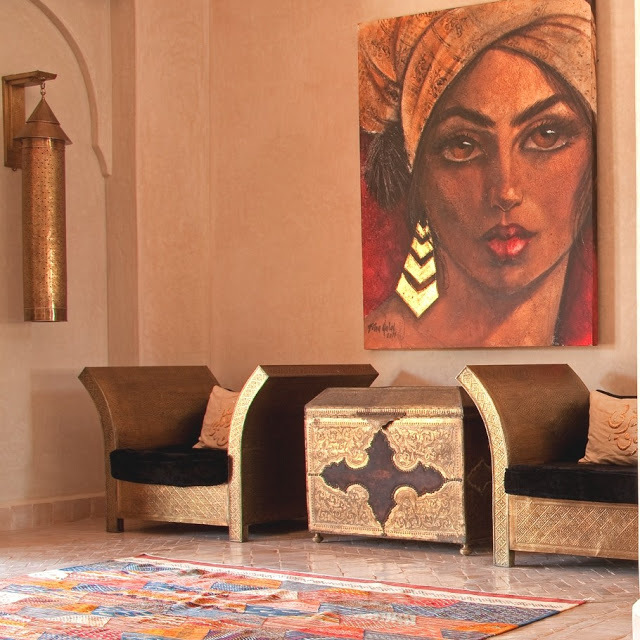 Designed and built by Diyar Consultant Architects in a quality, artisanal style with the swimming pool at its heart. 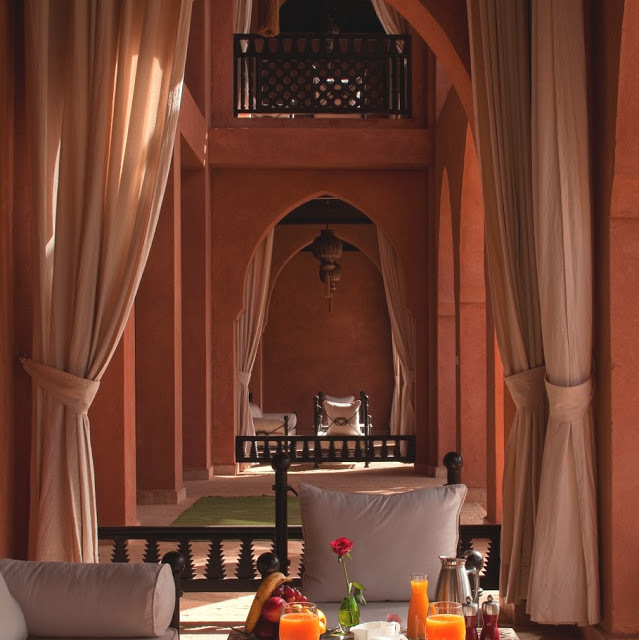 The public spaces and guest rooms are individually designed by Raja Kabil, using natural materials, bespoke furniture and original objets d’art and paintings, for a personal interpretation of traditional Moroccan interiors. 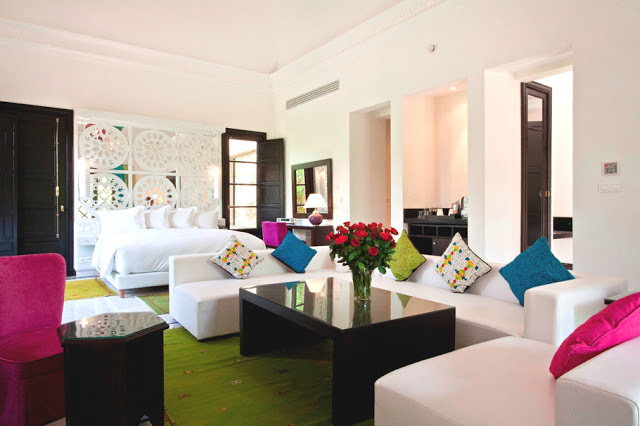 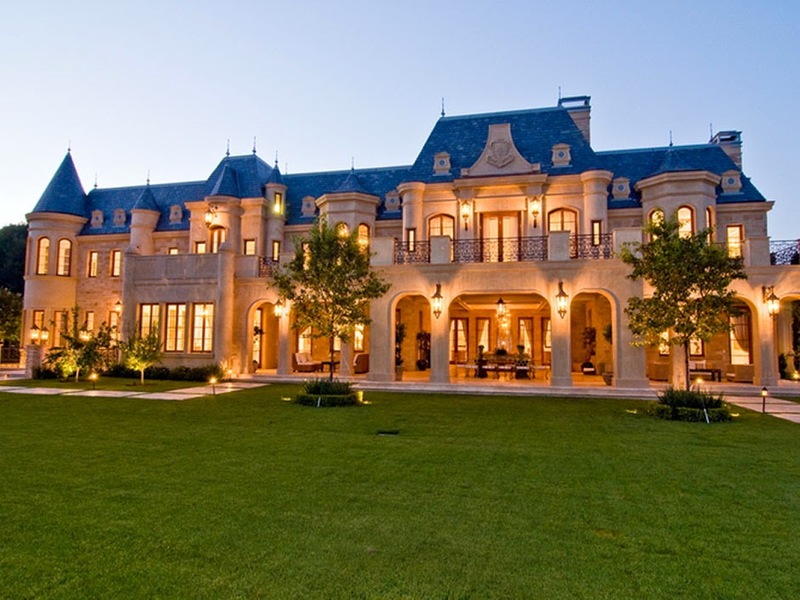 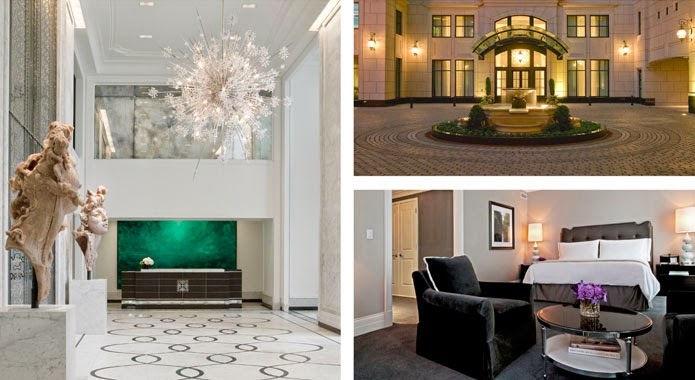 All the luxury guestrooms come with private terraces or balconies and oversized bathtubs.